Could You Sleep More Soundly with Sleep Apnea Treatment? 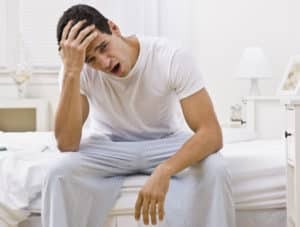 Do you frequently find yourself waking up, feeling unrested, no matter how many hours you have been asleep? Are you having difficulties at work, due to an inability to concentrate, general fatigue, or even irritability? What many people don’t realize is that these can all be common warning signs of Obstructive Sleep Apnea, a serious medical condition that affects millions of Americans. It is marked by blockage of one’s airway, due to movement of the soft tissues, which can initially cause loud snoring (one of the most common symptoms), and later a variety of health issues related to the poor sleep, and the temporarily loss of oxygen. The bad news is that many people fail to recognize these symptoms as related to OSA. The good news, though, is that in many cases dentists can offer effective and minimally invasive treatment options to help patients sleep more soundly! Keep in mind that it is very important that you pay attention to changes in your mood, concentration levels, blood pressure and any other signs that you could be struggling with one of the many sleeping disorders. In the case of sleep apnea, in particular, it can be incredibly dangerous due to the fact that you might temporarily stop breathing dozens of times during the night. Diagnosis and treatment are the best ways to protect your whole body from the ill effects of OSA. In many cases, a dentist can provide a minimally invasive way of treating OSA (and other conditions like TMJ or bruxism), through the use of a sleep appliance similar to a mouthguard, only this device is designed to keep the passageway clear as one sleeps. This is a less invasive form of treatment than the Continuous Positive Airway Pressure machines many doctors recommend, which can be loud and cumbersome for both the wearer of the mask hooked to the machine, and those sleeping nearby.